When you eat gluten-free, there’s a lot to miss on Thanksgiving – and a few minefields to boot. The turkey, mashed potatoes, sweet potatoes, cranberry sauce, and salads are usually pretty safe – but stuffing, rolls, pumpkin pie, and even many veggies can be a problem. 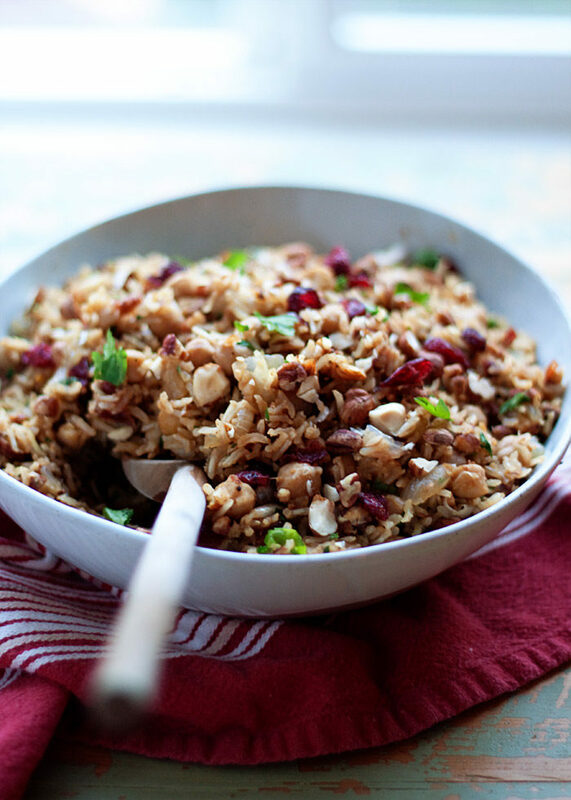 But even traditional Thanksgiving sides can be made gluten-free – and delicious, too. 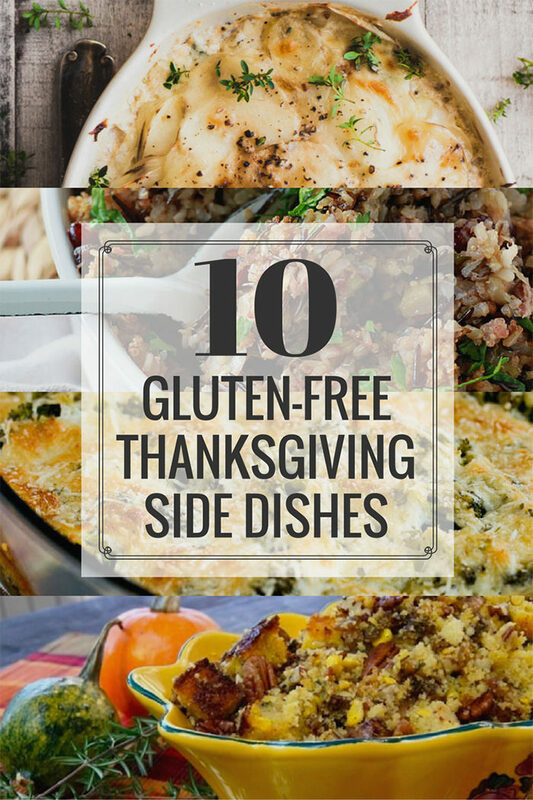 Here are 10 gluten-free Thanksgiving side dishes that show it’s possible! Cornbread Stuffing with Sherried Mushroom Saute from Cooking on the Weekends – Traditional bread stuffing may be off-limits (though I have seen some promising subs with gluten-free bread). But cornbread might just not be! 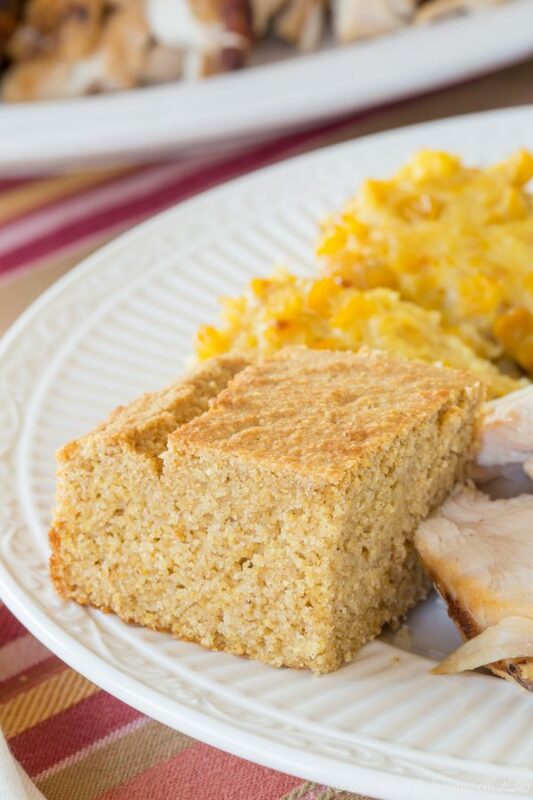 Just make sure the cornbread you start with is free of gluten like in this recipe – and then go to town. (Love those mushrooms, too). 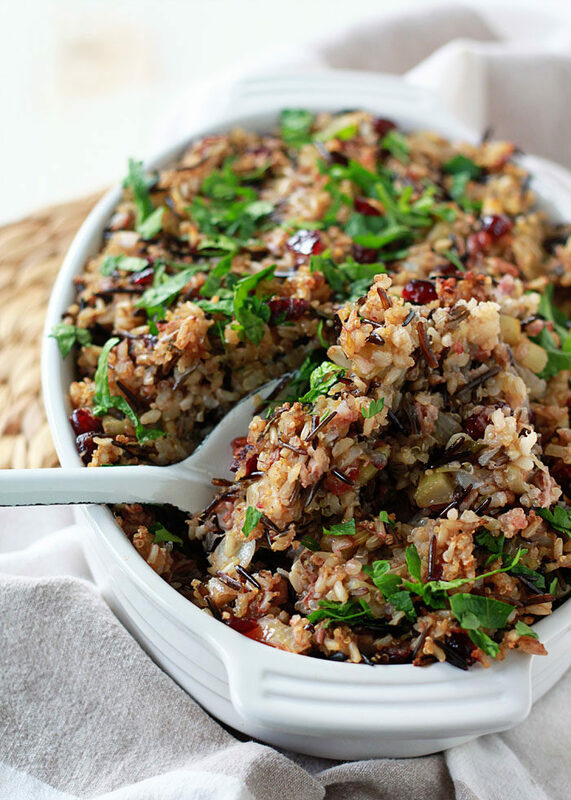 Herbed Wild Rice & Quinoa Stuffing – One more stuffing option. No bread in sight, but stuffing taste all the way! 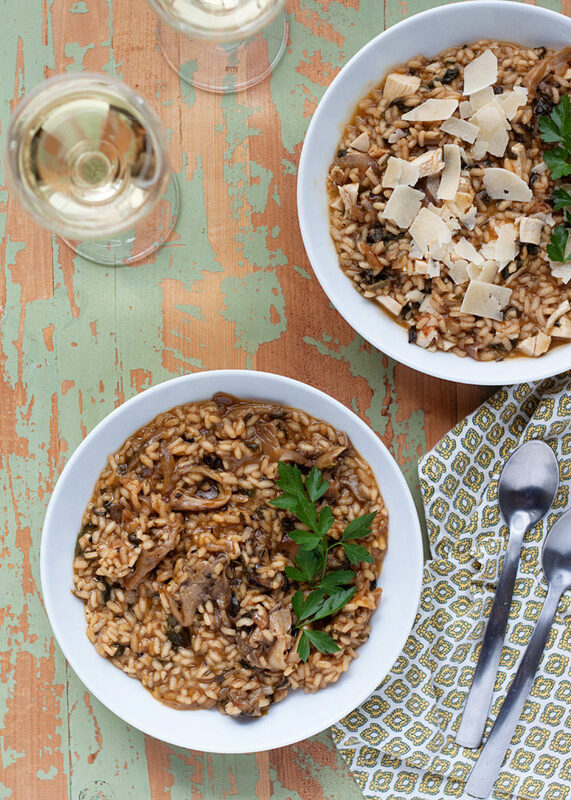 Spinach & Herb Risotto – Another hearty gluten-free Thanksgiving side idea? Risotto! I especially love this diet-flexible version. 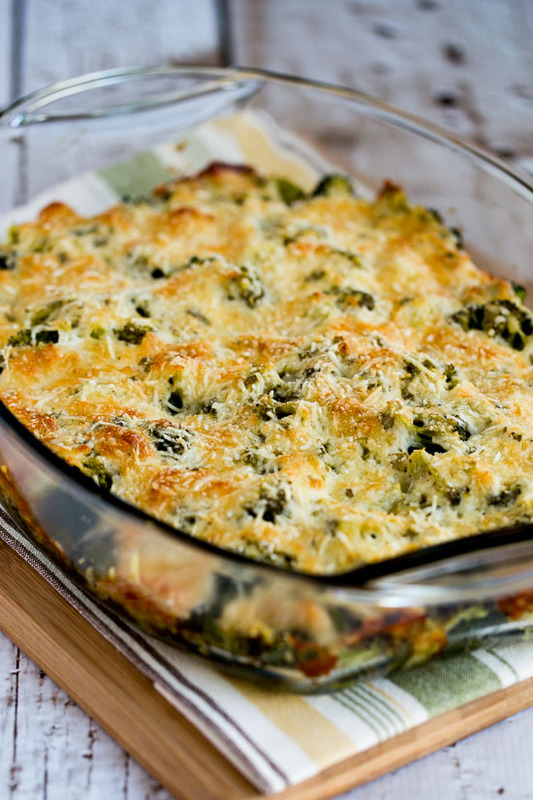 Broccoli Gratin with Swiss and Parmesan from Kalyn’s Kitchen – Green veggies have never looked more decadent. This one’s good for the low-carb crew too. 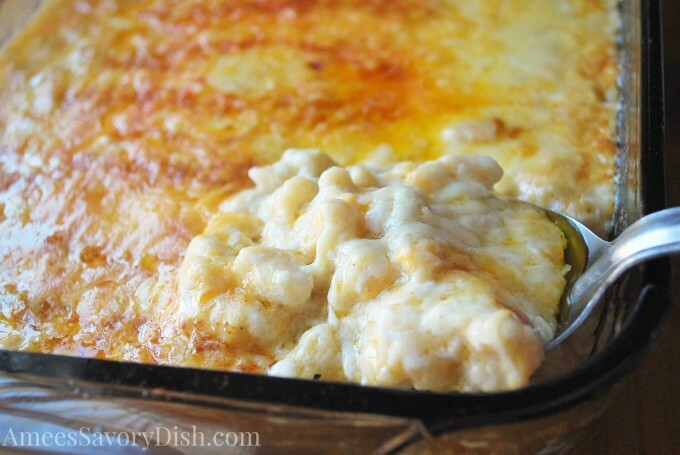 Gluten-Free Macaroni & Cheese Bake from Amee’s Savory Dish – Brown rice pasta saves the day with this uber-creamy mac and cheese. 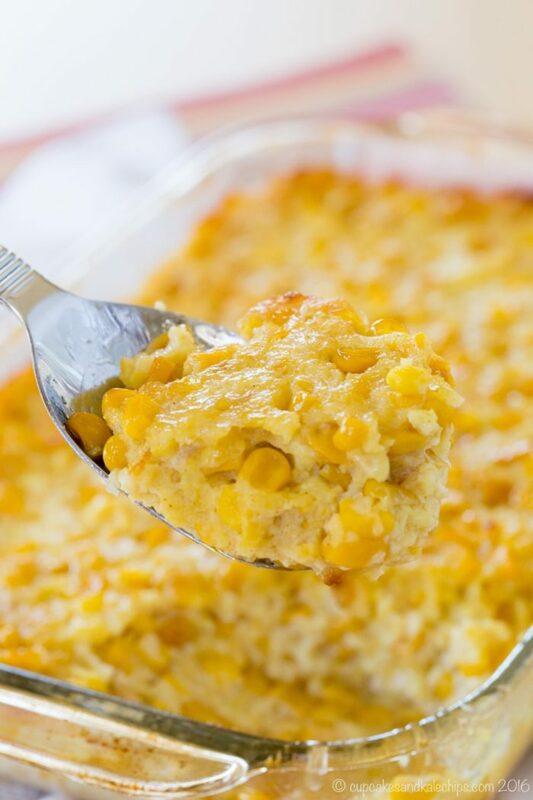 Corn Pudding from Cupcakes and Kale Chips – The classic Thanksgiving side, gluten-free style! Everyone loves this one. Gluten-Free Apple Butter Cornbread from Cupcakes and Kale Chips – More cornbread! Never enough, right? I love this GF version made with apple butter. 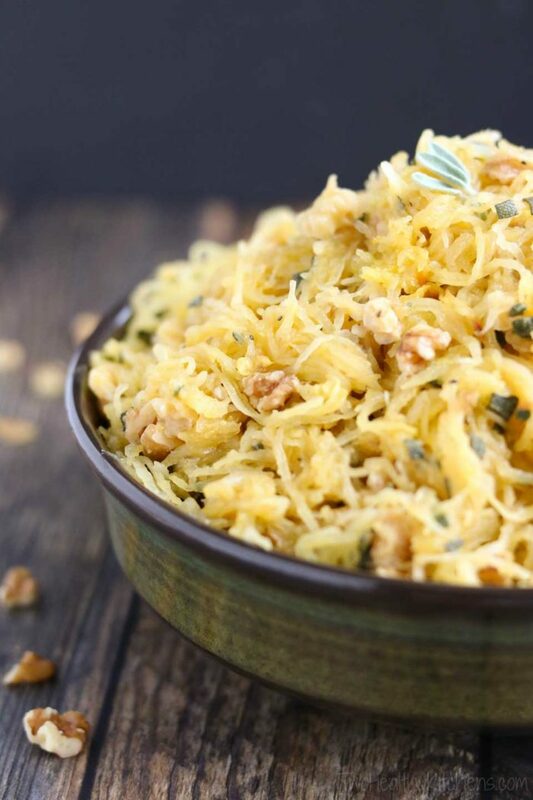 Microwave Spaghetti Squash with Sage Brown Butter & Toasted Walnuts from Two Healthy Kitchens – I love that this one makes use of the microwave instead of the oven. Plus: spaghetti squash! Best squash ever, pretty much. 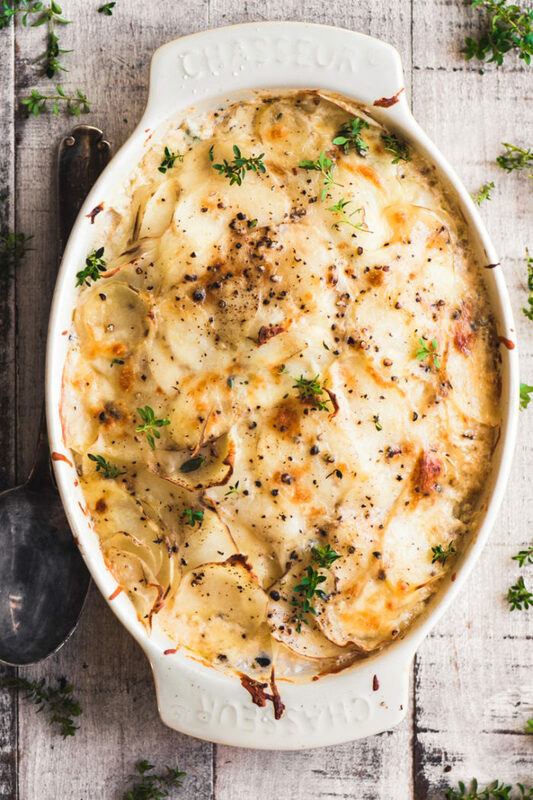 French Potato and Onion Gratin from The View from Great Island – This decadent number is creamy, cheesy perfection – no gluten in sight. I know I said I have 10 Gluten-Free Thanksgiving Sides to share, but here are two bonus links: Light and Fluffy Gluten Free Savoury Muffins from Fearless Dining. Helloooo. And also, this Gluten-Free Gravy Recipe from Serious Eats uses sweet rice flour instead of corn starch for more of an authentic gravy taste. Looks promising! 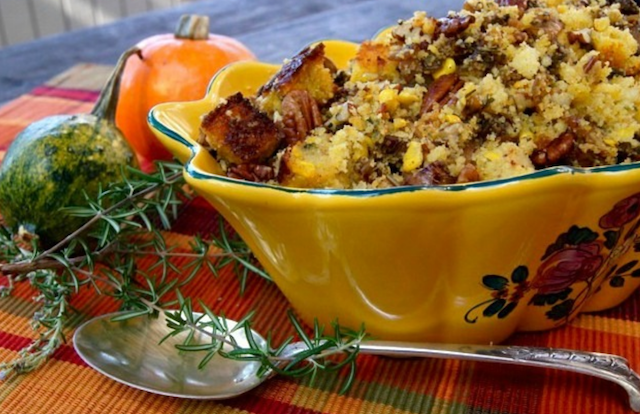 What are your favorite gluten-free Thanksgiving side dishes? Great idea for a round up ~ there are always one or two gluten free eaters around our holiday table, thanks for including me!